Artist Statement: Rita's passion is to use her God-given talent to do art with excellence. Rita has loved to draw for as long as she can remember. In college the art classes she took for an elementary education degree were her favorite ones. Though she laid her art aside while marrying and raising two daughters, her passion for art was again renewed when they went to college. She has taken workshops and classes from well-known artists such as Mel Stabin, Tony Van Hasselt and Greta Schelke, Jim Schelle and Marc Chatov. Currently, she is a student of Kris Meadows. Rita's paintings have been selected for juried shows at the Atlanta Artists Center in Buckhead, the Marietta/Cobb Museum of Art, the Roswell Visual Arts Center, Mt Bethel United Methodist Church, Johnson Ferry Baptist Church juried exhibit, the Abernathy Arts Center and the Portrait Society of Atlanta. Rita is a juried member of the Portrait Society of Atlanta and a member of the Portrait Society of America, the Atlanta Artists Center and the Roswell Fine Arts Alliance. She and her husband live in Marietta, GA. 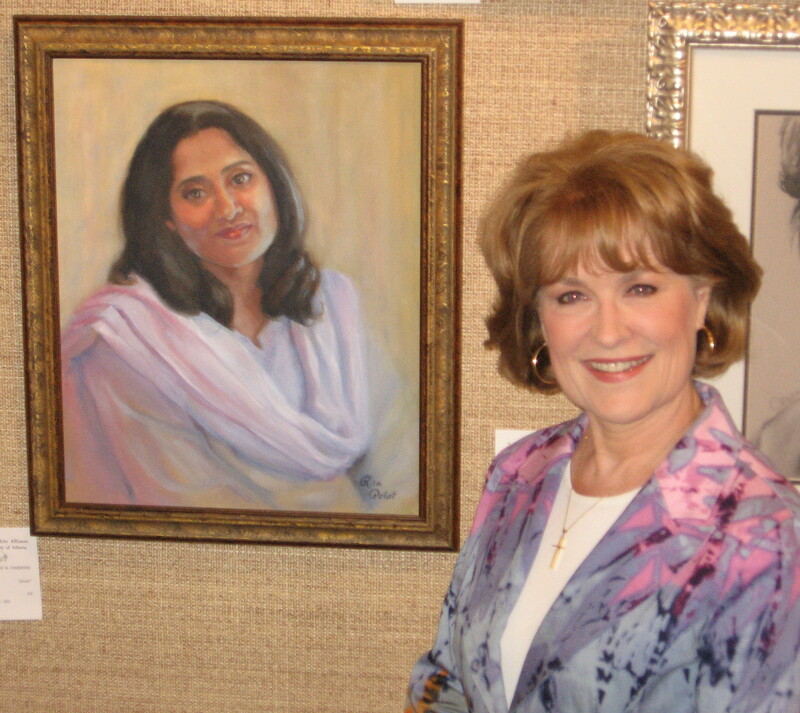 The solo show, "Instruments for His Glory," was at her church, Johnson Ferry Baptist in East Cobb.